Ascorbic acid is the same as vitamin C, right? Ascorbic acid is like the "wrapper" (similar to the cell wall) that the full live vitamin C complex comes in. Vitamin C is damaged by heat because it contains an enzyme. 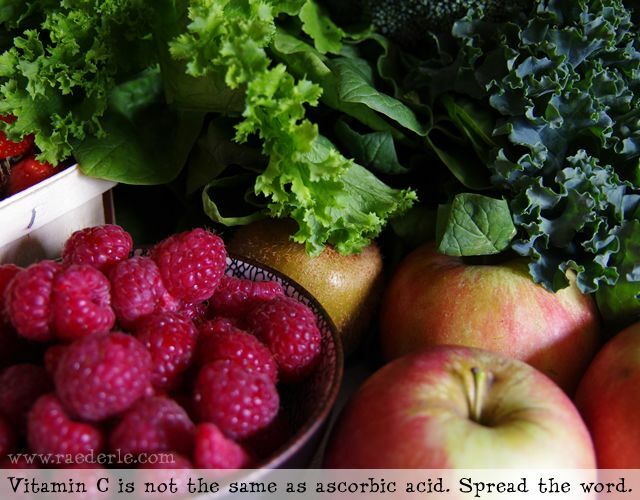 Ascorbic acid has been entirely mis-named, as the word 'ascorbic' itself means anti-scurvy. However, studies have shown that ascorbic acid alone does nothing to help or prevent scurvy. Only fresh vitamin C does that. In fact, synthetic ascorbic acid can even be harmful! Oranges are the best source of vitamin C, right? 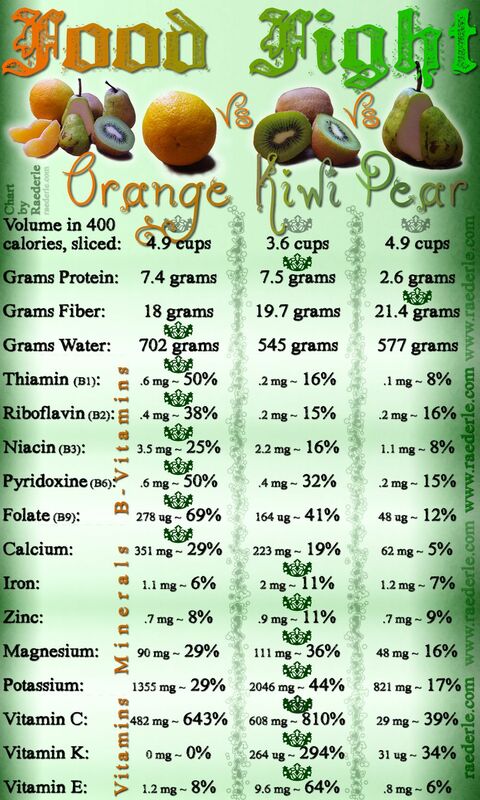 Per calorie, kiwi and bell peppers have way, way more vitamin C than oranges. This is illustrated in the "Food Fight" graphic below. It's true that oranges have a lot of vitamin C in comparison to bananas and apples. However, oranges have been made the poster-child for vitamin C by the folks selling pasteurized orange juice. Cooking destroys half of the vitamin C content, so pasteurized orange juice often doesn't contain as much vitamin C as claimed. What is the optimal way to get enough vitamin C in your diet? Fresh fruits and vegetables generally contain high vitamin C levels. Not all fruits and vegetables do, but most. The following is a list of ten different ways to get 75 mg of vitamin C (which is said to be the minimum amount needed daily). The percentage on the far right is the amount you're getting in relation to your daily need. The center number is the actual amount of vitamin C.
It is possible to get Vitamin C in supplement form – the real Vitamin C, not ascorbic acid – but you have to be very choosy about your sources. The best source I've found for a vitamin C supplement is from Living Earth Beauty. Their vitamin C supplement is actually a powdered fruit that has very unusually high vitamin C content – higher vitamin C content than any of the foods I named above. Why take Vitamin C supplements if food is the best source? You have a cold, virus or infection and want to overcome it faster. You are currently doing a detox, water-fast or other special limited diet. You are not as healthy as you used to be and despite a great diet, you need an extra lift. You don't like any of the foods I mentioned or similar foods and don't eat them. If any of the above apply to you, or will apply to you for a period of time, then I highly recommend getting a quality vitamin C supplement, such as the one I mentioned. If you want to ensure you're getting enough of all of the nutrients (that humanity is currently able to track) in your diet on a raw vegan plan, then check out my nutritionally complete meal plans. Thanks for reading! Merry eating.